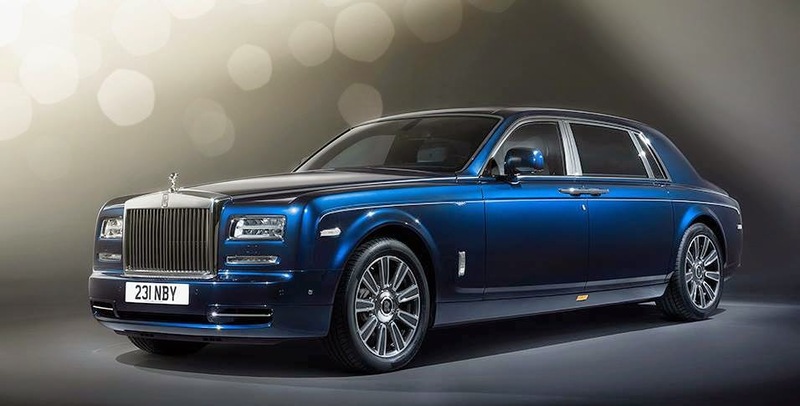 OTONEWS - Home of Rolls-Royce in Goodwood, England, made a special variant of the Rolls-Royce Bespoke Phantom Limelight aimed at those often appear in public or world stage. Process design a car that only made 25 units was mentioned also involve health professionals. Limelight which means fame was not without purpose. Limelight Bespoke design is based lifestyle of consumers who will use it, ie, super luxurious and provide access to personal objects at the time of preparation of their favorite towards an event that will they attend. As the 'best travel companions' Phantom Limelight luxury vehicle has a perfume box hidden, personal storage boxes, jewelry and luxury watches. There is also a comfortable chair with a certain angle, as well as the interior with a layer of wood. Even Rolss-Royce calls, engineers and car designers have worked with medical experts in creating the back seat of the car. As a result, a seat which provides a very comfortable sitting position. Rolls-Royce press release mentions, with seat tilt up to 27 degrees, then the head, back, waist and right can comfortably leaned back in the chair. So even with the thigh, until the calf. Thus, the condition of relaxed and comfortable stay awake. Moreover how to sit like this, it is also very healthy. Because cantilever calf bekerjasa electrically adjustable automatically to angle 68 degrees. Problem luxury interior, should not be asked. According to the market segment targeted, this section is designed to meet the desires and wishes of the celebrity world. No Comment "Manufacture Rolls-Royce Involve Health Experts"